Remember the old school phones having the dialer where you need to rotate the number in the dial to call someone ? Now you can use the same on your Android Phone. Below are some of the apps available on Android. 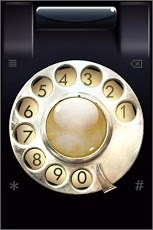 The Old School Dialer app gives us a rotary dialer to simulate the old phone. However, if you are in a hurry to call someone, then it would take some time. For this, they have provided a Quick Mode. By using Quick Mode, you can dial the phone by just touching the numbers on the dial without rotating. This dialer has the typical sound effect of the old phone dialers. The dialer makes exactly the same sound as in the old phones. But there is no quick mode to dial a number. So you need to be patient to use this dialer. 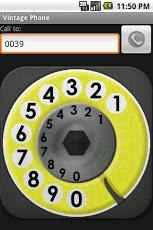 This app, developed by phamous-apps.com provides the facility to use retro stickers of different kinds on the dialer. You can customise the looks of the dialer using various stickers like Android, Gmail, Win, Unicorn, Nasa, etc. Also the dialer is quite speedy as compared to other apps so it won't take much time to dial a number. However, sound effects are missing. Vintage Phone is another app simulating the old phone like dialers. The sound effects in this app are pretty good. Sound Effects can also be disabled or you can adjust the volume from Low, Med or High. Vibration can also be enabled to provide effects. Another old phone like dialer. The best part is you can also select a contact from your Contacts and the dialer will automatically dial the number along with the sound. Download Vintage phone by Closer.